"His gift for enriching and healing the human spirit will not soon be forgotten." Rick Scott performs for all ages, family matinees and concerts for Big Folks, festivals, folk clubs, choirs, house concerts and inspirational musical keynotes. He appears solo and, new in 2017, with young keyboard ace Nico Rhodes in the duo show 'Roots & Grooves." For bookings please contact Valley Hennell at info@rickscott.ca. 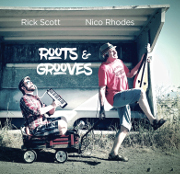 Rick and Nico offer ROOTS & GROOVES concerts for Big Folks and family concerts as a duo. 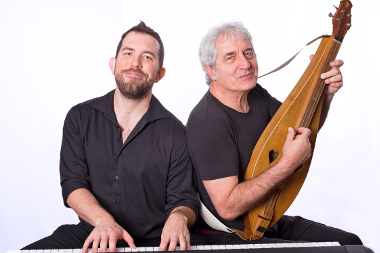 For Rick and Nico bookings please contact Margot Holmes at Caline Artists International 1-800-539-8558 margot@caline.com http://www.caline.com/index.php?p=2_36_Roots-Grooves. 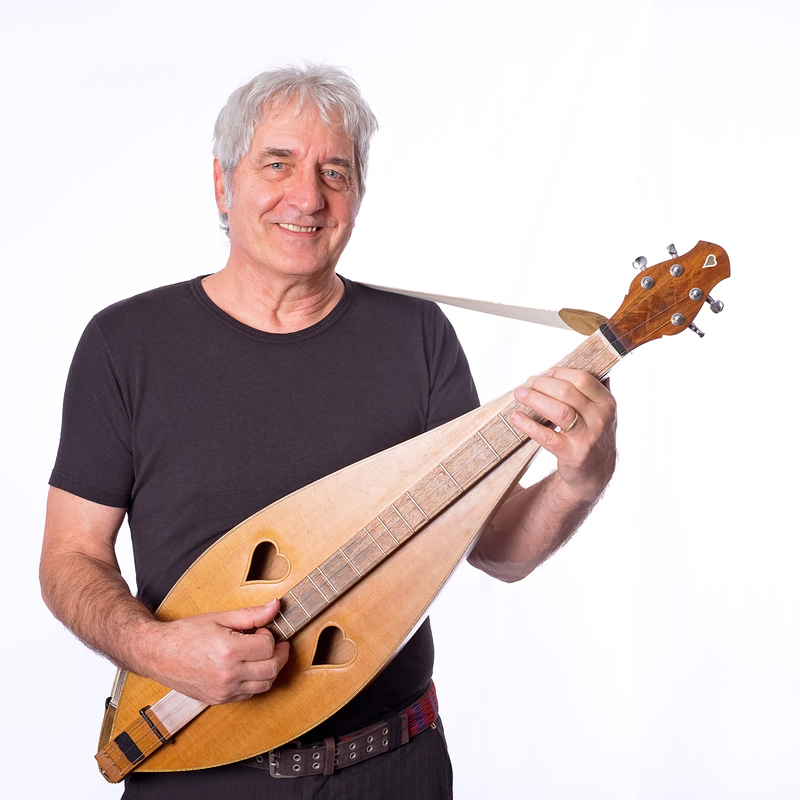 RICK SCOTT is his own unique genre: an award winning singer, songwriter and actor, and Canada’s leading proponent of the Appalachian dulcimer. Over 40 years he has released 18 albums and performed his lively, original blend of folk and blues in nine countries. humour and poignant human commentary has earned him a devoted following from four generations. He’s Goodwill Ambassador for the Down Syndrome Research Foundation and curator of the Protection Island Museum. In April 2018 he will be honoured with the City of Nanaimo Excellence in Culture Award. Rick’s long and varied career blossomed mainly outside the mainstream. 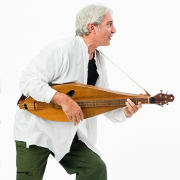 In 1970 he taught himself to play Appalachian mountain dulcimer upside down and backwards, contemporizing the folk instrument with his own unique tunings, chording and strums. In 1971 while busking on the street in Vancouver, he inspired Ryan Larkin’s groundbreaking animated film ‘Street Musique’ for which he wrote and performed the score—his first professional engagement. The segment in which Rick appears live then transforms into cartoon, accompanied by his composition “Crystal Clog”, was excerpted in the 2004 Academy Award winning tribute film ‘Ryan’. In 1974 Rick pioneered BC folk music with Shari Ulrich and Joe Mock in the irreverent folk trio Pied Pumkin, combining original songs and kickass groove with flawless harmonies and theatrics. Launching one of BCs first independent labels, they toured widely and sold thousands of LPs from the stage or mailed in cut up cardboard boxes from Safeway. When Shari moved on to The Hometown Band in 1976, the Pumkin became Pied Pear, playing Canadian festivals and dances until 1983. Pied Pumkin is often credited with creating the blueprint for rogue folk in Western Canada. 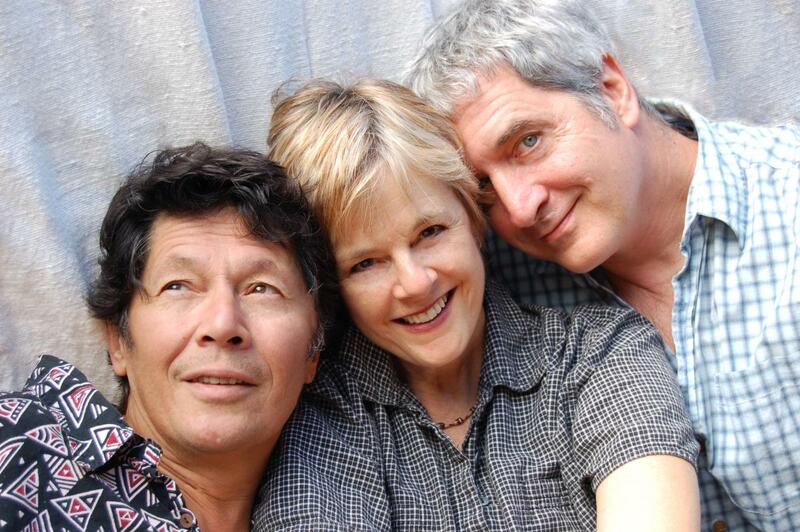 They reunited in 1998 for two news CDs and a dozen successful tours, culminating in the opening set of the Vancouver Folk Festival’s 35th anniversary in 2012. In the 1980s Rick studied the craft of acting, starring in title roles of ‘The Late Blumer’ and ‘Barnum` for which he learned to walk tightrope. During a two year Arts Club run of ‘Angry Housewives’ he was invited to play concerts in schools, launching a 25 year initiative working with and for children around the globe. In 1983 Rick teamed up with Valley Hennell to co-write and produce his recordings and manage his career. Their 1989 debut children’s CD ‘Electric Snowshoe’ sold 50,000 cassettes and launched touring across Canada and Southeast Asia. 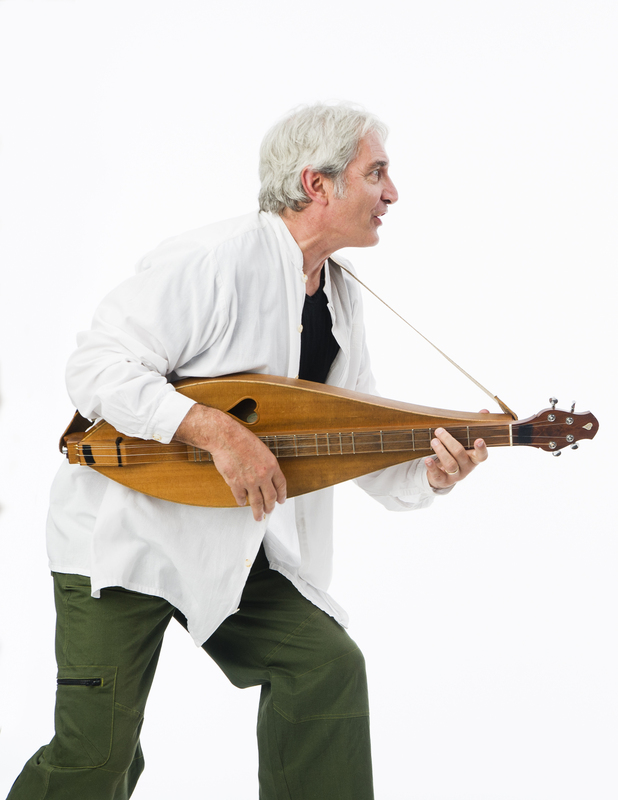 In the 90s Rick played over 100 solo family shows a year in Canada and seven tours of Southeast Asia and Australia, as well as performing for radio, television and Canadian festivals. In 2004 Rick and Valley collaborated with Hong Kong musician/magician Harry Wong to create ‘The 5 Elements’, an English/Cantonese stage show and CD which premiered in Hong Kong then toured Canadian Children’s Festivals. The director of that production was a young Hong Kong street artist named Hoi Chiu. In 2005 Rick and Valley co-wrote and scored Hoi Chiu’s multimedia production ‘YU YU MI MI: A Love Story’ with performances in Canada, the UK, Hong Kong and China. Hoi Chiu went on to become Hong Kong's leading sand animation artist, and in 2017 they will collaborae with him to create ‘Sand Music’, a family musical stage production in which east meets west with imagination, innovation and groove. 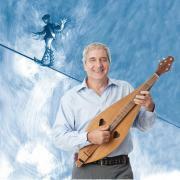 In 2007 to celebrate the 30th anniversary of the Vancouver Children’s Festival, for Pied Pumkin Valley produced ‘Pumkids’, a CD and stage show that toured Canada and won Parents’ Choice, NAPPA and Canadian Folk Music Awards. In 2017 Rick will join Fred Penner in a variety show celebrating the Festival's 40th anniversary. 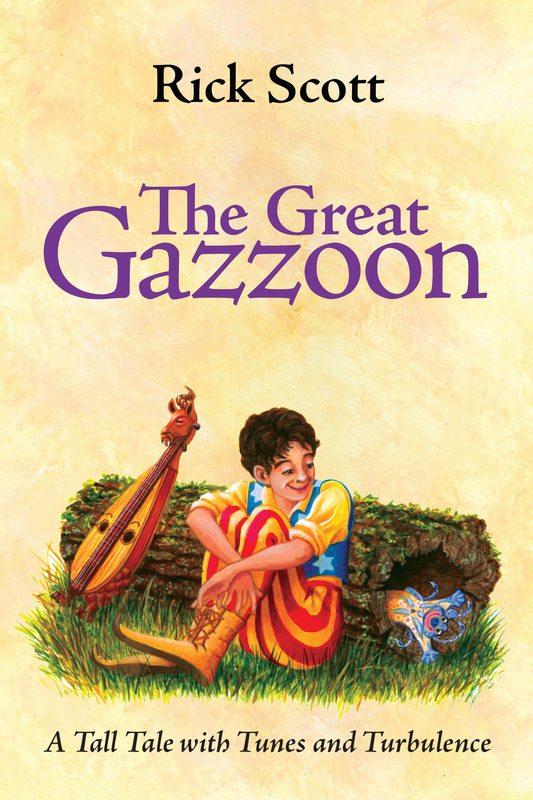 In 2011 Valley adapted and produced Rick’s novel ‘The Great Gazzoon’ as a 4 hour, 4 CD musical audio novel, with 25 actors, singers and musicians. A full list of awards appears below. In 2013 the Vancouver Island Symphony commissioned Rick and Valley to create an educational program introducing Grade 4 students to orchestra and its instruments. Assisted by a Creative Communities grant, they hired 23 year old prodigy Nico Rhodes to do the orchestrations for 47 musicians and 50 voice choir. Over four years and nine performances 7500 children have seen ‘My Symphony’, VIS’s most popular educational show. In 2017 Rick performed at the premiere of ‘The End of the Road’, a documentary film celebrating the history of Lund, BC, with Pied Pumkin music as its score; at the 40th anniversary of the Vancouver Children’s Festival with Fred Penner and with 100 young fiddlers in 'Fiddelium' at the Port Theatre in Nanaimo. 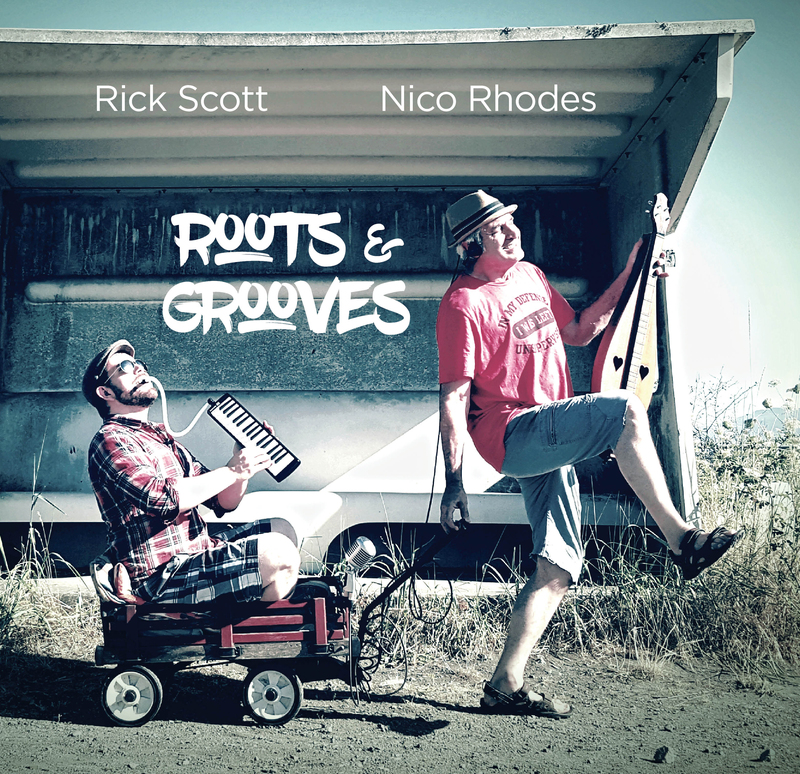 In April 2017 Rick premiered ROOTS & GROOVES, a duo concert with young keyboardace Nico Rhodes. After 8 shows they recorded a CD in a single day, and launched it Sept 17 with shows at the Nanaimo Jazz Festival, Victoria Government House with Roy Harvey VIckers on UN Peace Day and Vancouver Rogue Folk Club. 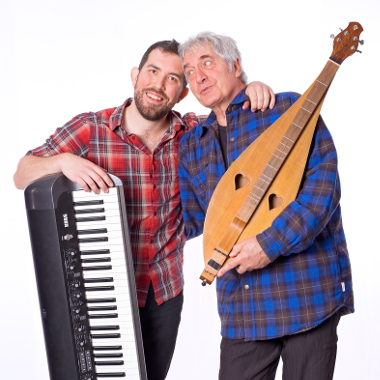 In its first year, ROOTS & GROOVES played 30 shows in 25 BC communities, earning standing ovations from the Whistler Arts Centre to Prince George Coldsnap Festival. April 7, 2018 Rick and Nico will showcase at Pacific Contact, represented by Margot Holmes and Debbie Peteres of Maverick Coopative Artists. 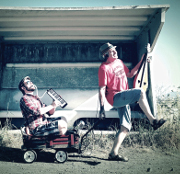 “Individually Rick Scott and Nico Rhodes are highly entertaining, gifted musicians. "Rick's gift for enriching and healing the human spirit will not soon be forgotten." “First time we've ever had a standing ovation at one of our Home Routes concerts. whose decades of experience are woven into every minute of his performance. "The best show I have seen in my ten years of teaching!" "Thank you for the incredible show... Great tunes, a wonderful stage presence and a magical way of connecting with the audience." "Rick’s music speaks to kids and their parents and to me... It’s delightful, educational, accessible and innovative. It’s funny, clever and warm. It’s not only important to Canadian music—it’s essential." "Rick Scott will have you smiling like a child with his engaging big folks repertoire. What lucky adults to be growing younger to the heartfelt stories and songs of this ageless elder man boy." “Inspired best describes Rick Scott’s musical keynote. 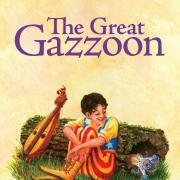 "If Randy Newman made a happy album for kids… Pure music… incredible!" "I cannot even begin to express the impact your visit has had on our school! The childrenare singing and dancing all the time now! They are twirling and rapping on the playground! Really, a wonderful transformation has come over them! was one the highlights of their grad year! Thank you for showing us the wonder of music! We look so forward to planning our next event with you!" PUMKIDS wins 2007 Western Canadian Music Award. 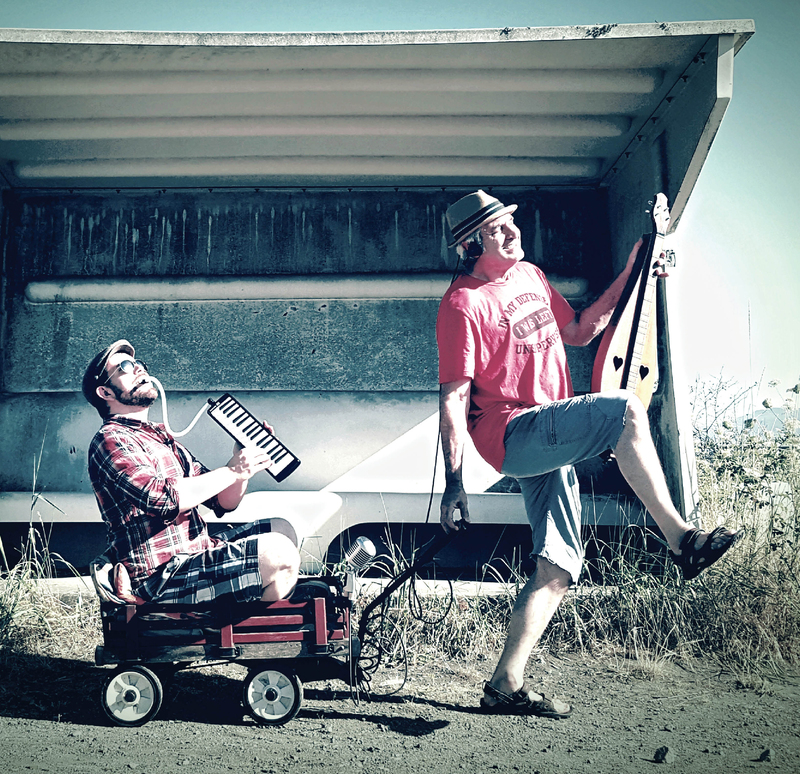 PIED PUMKIN nominated for two Independent Music Awards. SNOOZE MUSIC wins 2006 Gold Lullaby 2006 and Parents' Choice Silver Honor Award. SNOOZE MUSIC reviewed in Chicago Parent. Victoria Times Colonist reviews SNOOZE MUSIC.